My favorite quote is by Socrates and it's - The unexamined life is not worth living. It's true not just for the entirety of our lives, but also for every endeavor we embark on. If you want to manage your finances well, the first step is examining your finances. Know all about it. Know how much you make and know how you spend over a convenient period. The period could be monthly if your main income is a monthly salary, and it could be quarterly if you run your own biz. What matters is knowing yourself, financially. In 2011, I had serious money issues. I got a dream job. I lost the dream job. 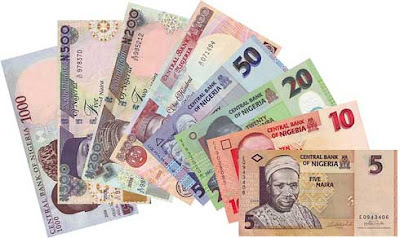 I made over N12,000 per day for over 2 months. I got robbed. I traveled for French language immersion. I got a new job. My living expenses were eating my salary. I was working and my bank account balance was de-growing month on month. I thought I needed deliverance, a special all night deliverance session preferably at Redemption City or Prayer City. I was working hard and had no money to show for it. I had been reading investment and personal finance books for a long time then, but I never thought anybody would experience what I experienced that year. That year I learned that experience is truly the best teacher. I had to translate all my book knowledge to working knowledge. I started tracking my expenses daily for months to get a good idea of my average monthly expenses; since I had just one income source, my monthly salary, figuring out how much extra I have left at month end was extremely easy. I proceeded to drawing up a budget, a monthly one. Here is another popular saying. N100 income, N99 expense; result is happiness. 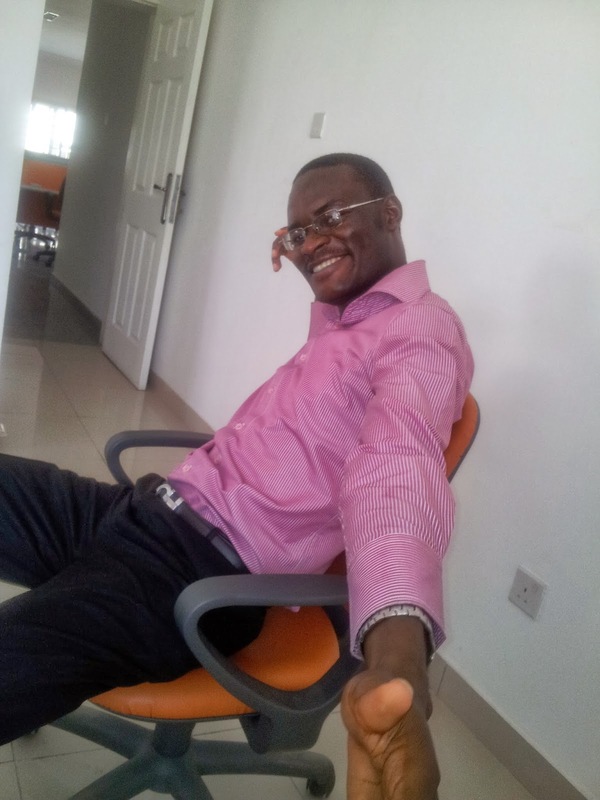 N1,000,000 income, N1,000,001 expense; result is misery. If you've ever been cash-strapped, you will better understand that quote. It doesn't matter how expensive your car or mansion is, if you bump into an egg seller and ruin a crate of egg, only cash can save you. While managing your finance, forget about your assets - how much you are worth, how much your car is worth or that project you're going to win. What matters most is what you have in cash now and making sure you don't spend beyond that. You have to be your own accountant. Make your own budget. Now that you know the average amount (you can never know the exact) you spend monthly and how much you earn monthly, note the extra, your real disposable income. I call this your free cash. If yours is in the negative (your monthly expenses are more than your monthly income) then get a new job or downgrade your lifestyle or do both. And if your run your own business and your income comes once in 3 months or more, make your budget period a quarter (3 months), so you don't get emotionally overworked when you see all the payments owed you monthly. Now that you have calculated your monthly free cash (income - expense). You will need to learn how to max out that free cash, reduce your expenses to a convenient minimum (I don't recommend cutting down on feeding expense or personal care, except you want to save for your grand-kids or the bank) and work on increasing your income. Let's start with the easiest way to accumulate wealth: Grow your Income. There are two ways of doing this and they are not mutually exclusive, you can do both. The first is to write your boss for a pay raise or get a better paying job. And trust me, asking your boss for a pay raise is much easier than you think. It starts with letting your boss know that you need a pay raise or more performance bonus in very subtle ways. In my second job, I was always making jokes about how broke I was and made sure my boss noticed. Later, he got sick of it and called me aside and gave me a very touching finance advice, how he started like me and had similar money troubles and steps I could take to better my situation. Though I didn't get a pay raise, I got a performance rating of 110% because he knew I seriously needed the performance bonus. Then I changed job. The second way is to get multiple sources of income. For some time, my only income source was my monthly salary. When I lost my job in 2011, I lost my only source of income. It was devastating. Since then, I made up my mind to have multiple income sources. I searched within me for skills I could monetize, then looked around for needs I could meet and charge for. It was extremely difficult. At first, instead of making more money to supplement my salary, I was losing money and getting broke. Somehow, this difficult period brought out the genius in me. I became the CEO of a startup, me. I started 4 businesses in less than 2 years and lost money printing biz cards and looking for clients. But my 4th business became the ONE. I found my ideal part-time biz, something I would gladly do for fun but I now charge for. Here is the story of my journey to this discovery. And like they say, fortune favors the dogged. After some time, I started getting paying clients and began earning a little here and a little there. You too can start a part-time biz, and increase your sources of income. This is the trickiest part. You can never feel you've done enough. But this is what I suggest you do. Look at your daily expense list (the one you made to get an idea of your average monthly expense) and strike out those recurring expenses you can do without or you are better off without. Try hard to avoid making such expenses again. Look at the expenses you can optimize, maybe stop drycleaning all your clothes and eat out less. And if you are the scavenger type (no offence intended) you could stop driving your car to work and hike, take your lunch to work and use your friend's call bonuses. You can get more tips from the NSD, LSD & HSD section of my Working your way to wealth post. Now you're working on growing your Income and shrinking your expenses, and want to know how to max out your Free Cash. This is the heart of Personal Finance, the making your money work for you part. Have an Emergency Fund. Investopedia is on point on this. This is a savings account that is used to set aside funds to be used in an emergency, such as the loss of a job, an illness or a major expense. The purpose of the fund is to improve financial security by creating a safety net of funds that can be used to meet emergency expenses as well as reduce the need to use high interest debt, such as credit cards or loans. It's recommended that you put 3 to 6 months living expenses in it. Now that you know your average monthly expense, half the job is done. In mine, I have my 4 months living expense. And I use Diamond bank's High Interest Deposit Account (HIDA) due to their above peer interest rate. You could use Standard Chartered too. Just make sure you use a bank, not an investment account or cooperative; easy accessibility to the fund is key. That's why it's called an emergency fund. I have had to draw from mine thrice -- when I changed job again, a serious family need and a sudden business expense. Each time I draw from the account, I pause all my other monthly investments and replenish the account. This is very important. Don't break the rule. Your emergency fund before any other, except debt servicing. Depreciation, Depletion and Amortization. You've always been the CEO of your life but from now on, you will also be the CFO. There will be some expenses that are not monthly, e.g. yearly house rent, wardrobe uplift every 6 months... You get the idea. You have to spread their cost over your budget period, monthly. Don't forget services you're enjoying that you will start paying for in the future, and plan for future one time expenses like buying/building a house. You can open a high interest savings account or money market account and save towards those expenses every month. Monthly Savings or Investment. Once your Emergency Fund is set up and impending future expenses are being saved towards. You can set up a direct debit or standing order to transfer a portion of your remaining free cash to a fixed deposit account, money market account, mutual fund account or brokerage account monthly. This will make saving/investing automatic for you, and in the finance world it is called Paying Yourself First. This is the crux of making your money work for you. And the investment vehicle you choose will be based on your risk tolerance and knowledge. I transfer money monthly to a Mutual Fund account and my brokerage Account. Don't Ever Run Out Of Cash (DEROOC). Definitely, there will months unexpected expenses will pop up or a financial emergency. Thankfully, you have an emergency fund. But the point is, those emergencies shouldn't be monthly. Don't put all your money, after building up the emergency fund and saving towards future expenses, in an investment account. Always have about 30% of your living expense as a reserve on top of the actual monthly expense budget. So if you earn 250k monthly, spend 100k monthly and you have 150k left, and assuming your emergency fund is already set up (500k); you may want to put all the 150k left in your special savings account and investment account, but that will be very bad. Because an increase in food price will become an emergency and you will have to start touching accounts you shouldn't. So have at least 30k out of the 150k left in your salary or regular account. Life will be easier, at least financially. And that's how to max out your free cash. In subsequent posts, I will be talking more on Investments, as that's the only way to make your money work hard for you. You can click here to view my Personal Finance series. But if you have a particular section you want me to elaborate on with plenty real life illustrations. Lemme know via the comment box. Thanks alot. I really appreciate this wonderful piece. You're impeccable. Hello Sir, I registered in order to get the family budget sheet but it seems the link is no longer active. Is there an alternative way to get it? You mentioned receiving touching financial advice from your ex-boos. It like you to share. Yeah, It was more of his own personal story. He won't be happy to see me publish it online. You're welcome, Dayo! Glad you found it very valuable and practical. my oh my!.... i used to spend my time on lindaikeji blog's gossip, but since i stumbled on your blog, i haven't visited hers, y? coz i need tips like this to build my world. thanks for this. i hope i will implement it. Glad you found value in some of my posts. If you subscribe to my blog you will get my posts daily and not have to take the long route of typing in my blog address. Thanks a lot for your encouraging comments! Thanks for sharing this. You never disappointed me anytime I come to your blog. Please keep up the good work Sir. Thanks! Glad you find my blog interesting. Hmmm, Nice exposure, Sir. Thanks for sharing this, Oga Mike. 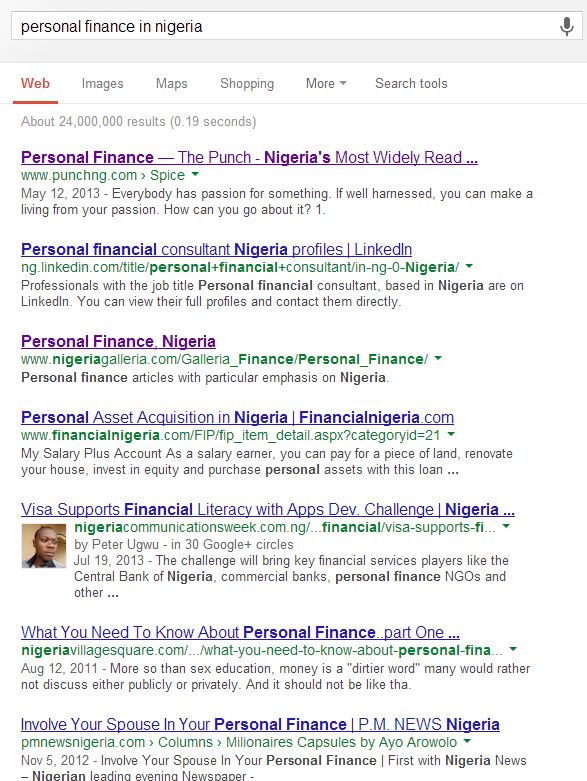 Good to know we can have a Nigerian interpretation of all the 'oyibo' finance books and theories. This is something that comes very close to home and we can relate with. God bless you rel good bros.
Whaoo! Thanks for all these points. I appreciate you for enlightened our understanding . Bookmarked. Keep up the good work sir! Hi, Michael, do you have a link on how to install your share it icon/logo on my marketing ideas blog? Hi SBM, unfortunately, it came with the blog template. You can google for a copiable one. Cheers. I found this article practical and useful. Thanks for sharing! Hi Michael. Good job, keep doing your thing. I like your blog too. Nice write up, Mr Michael. How can I contribute to your blog? Thanks. Hmm. For some strange reason I don't yet take guest posting. But like most things in my life, it's probably a passing phase. I'll be sure to alert you once that change happens. Thanks! Good evening Mr Mike, do you offer business plan writing services? Hi. Thanks. Unfortunately, I don't offer or know enough about Business Plan Writing. Thanks for dropping by. Hope you enjoyed my blog. Cheers. This is really very great indeed,great ideas. Hello Michael, how much will it cost me to get a blog set up like yours? You can search on my blog, got a couple but to lazy to dig out the link. Use the searchbox on the right side banner of this blog. 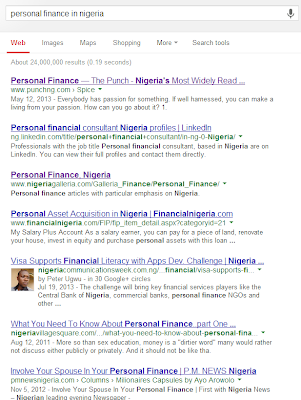 The first meaningful personal finance article I've read on a Nigerian personal finance blog.